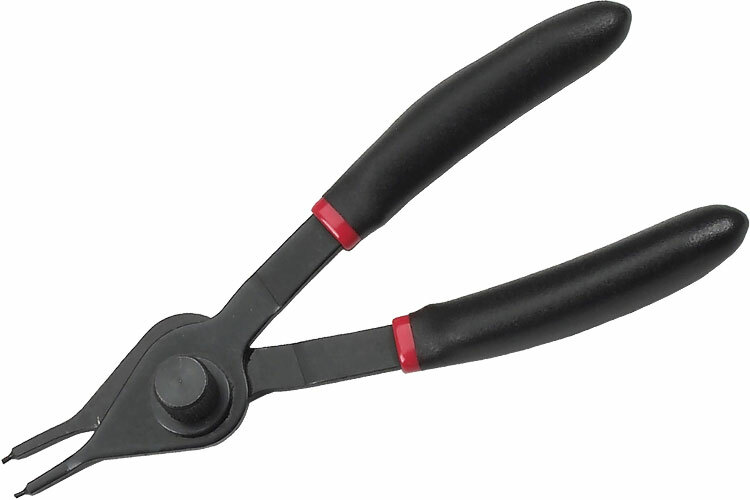 The GearWrench Fixed Tip Snap Ring Pliers are versatile, heavy duty pliers designed for the removal and installation of either internal or external snap rings on a wide range of applications, and feature a cushion dipped handle and are designed for heavy duty use. The 3484D GearWrench Fixed Tip Snap Ring Pliers is one of thousands of quality tooling products available from MRO Tools. Please browse GearWrench Fixed Tip Snap Ring Pliers for tools similar to the 3484D GearWrench Fixed Tip Snap Ring Pliers. 3484D GearWrench Fixed Tip Snap Ring Pliers description summary: GearWrench fixed tip snap ring pliers. Includes Tip Diameter: 0.038'' 45° Quantity discounts may be available for the 3484D GearWrench Fixed Tip Snap Ring Pliers. Please contact MRO Tools for details.